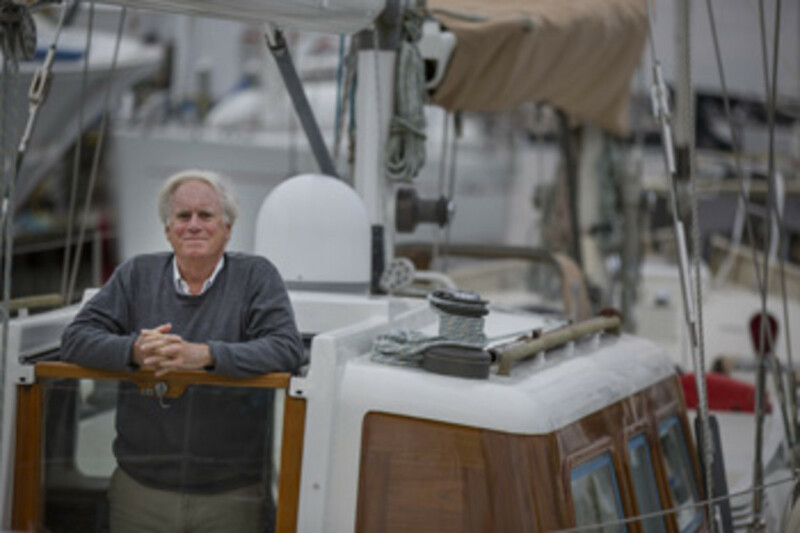 Charlie Dana has spent his personal and professional lives in yachting. 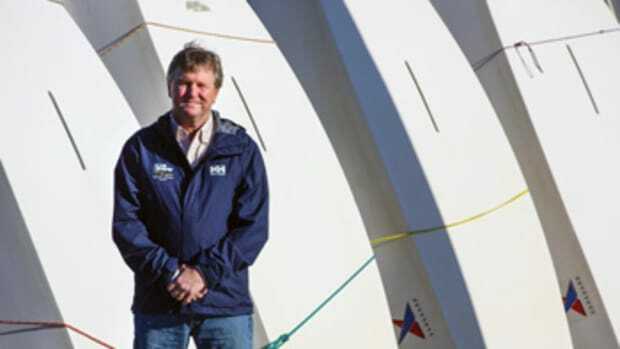 A former commodore of the New York Yacht Club, Dana was a syndicate member of five America’s Cup campaigns between 1977 and 2003. In 1998, Dana and partners purchased Newport Shipyard, which had filed for Chapter 11 bankruptcy protection, preventing its development as condominiums. Since then, the Rhode Island yard has improved and expanded to become one of the finest marine facilities in the world. 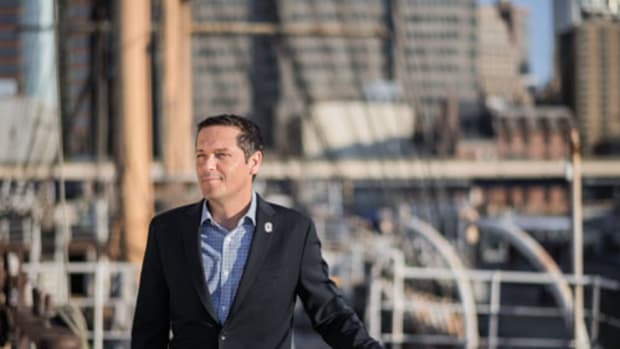 With a full-service yard, ship’s store, restaurant and fitness center on the harbor, and a focus on megayacht service and repair, Newport Shipyard plays an important cultural role in the nautical life of Newport. It hosts several teams and regattas, including this year’s inaugural Candy Store Cup, which replaces the Newport Bucket. Dana is a trustee of the Dana Farber Cancer Institute and the Dana Foundation of New York. He is a trustee emeritus of the Newport Restoration Foundation and is on the board of the Hartford Foundation. 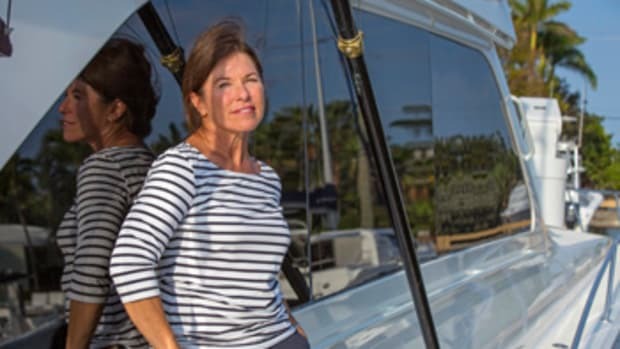 Each winter, Dana and his wife, Rose, double-hand their 71-foot ketch Saint Roque to the Bahamas. First memory of being on a boat: A Concordia, 1957. 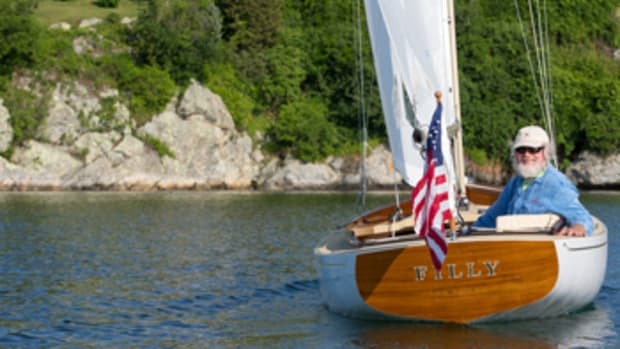 Her wood smell was an intoxicating mix of knotty pine, teak and Noxon brass polish! My first job at age 10 was polishing brass for the owner in Edgartown, Massachusetts. 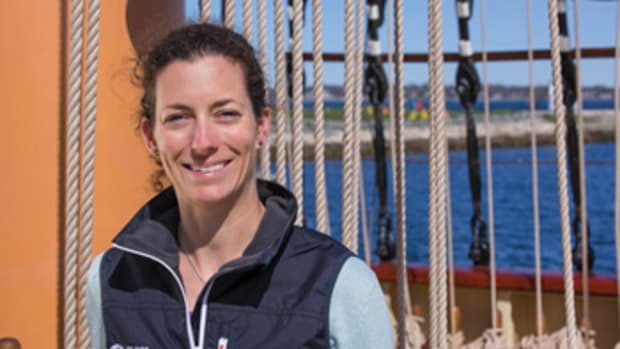 I didn’t come from a sailing family, so just being on a boat was a new world to me, my world. When that Concordia was 30 years old, I bought her as a second boat so our kids could fall in love with the same first boat I did. First boat you owned: An 8-foot dinghy I built from a kit with a 3-hp Evinrude when I was 14. I did quasi-launch service for tips in Edgartown — mostly drunk people who were desperate to get back to their boats! The first boat I could sleep on was a Santana 22 on Dillon Lake in Colorado, when I was at the University of Denver. Then it happened: A family friend loaned me an Ocean 71, complete with crew, to cruise from Martinique to Grenada. I was hooked on the life and, at 27, bought a 10-year-old 56-foot Hood-Maas yawl that had been one of Lee Loomis’ Northern Light yachts. It was financially a crazy thing at my age, but a bank financed her, as well as operating expenses. … I sold them on the idea that it was no different than a mortgage on a house. My father thought I had gone to the dogs! Last or current boat: My present boat is Saint Roque, a 71-foot ketch that I built 22 years ago. It’s my second skin! Favorite boat you’ve owned: Saint Roque is unquestionably my favorite boat. 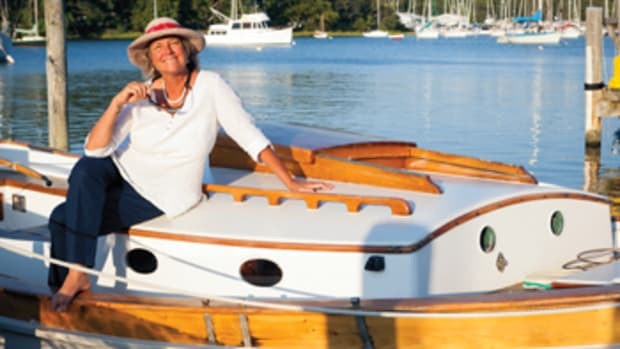 Your dream boat: My dream boat is a trickier question. Next year I’ll be 70, and I wonder how long we can double-hand offshore. When we can’t, then it will be bigger, easier and with crew. It’ll be different, and we worry we might lose the thread of our double-handed life. Scares us actually, yet change is an ingredient that spices up life. 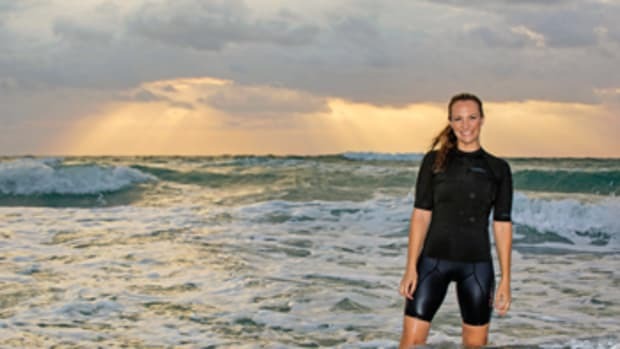 Scariest adventure aboard: Scariest moment might have been swimming in the Gulf Stream off Cape Hatteras to clear barnacles off my bottom that were slowing us down. A dozen sharks saw it differently; they saw it as me feeding them scrapings, and oh by the way, maybe I was the tastiest barnacle of all! I was 40 feet from the swim ladder and cautiously made my way back on board, trying not to telegraph that I feared for my life. Most memorable experience aboard: Too many memorable experiences to count to do justice. That question stumps me after doing this for over 50 years! I pass. Longest time you’ve spent aboard: Six weeks, but I have done that many times and could really live on a boat all the time. I am sure I’ll die on board … somewhere. Favorite destination so far: Anywhere in Maine. It is one of the best cruising grounds in the world. 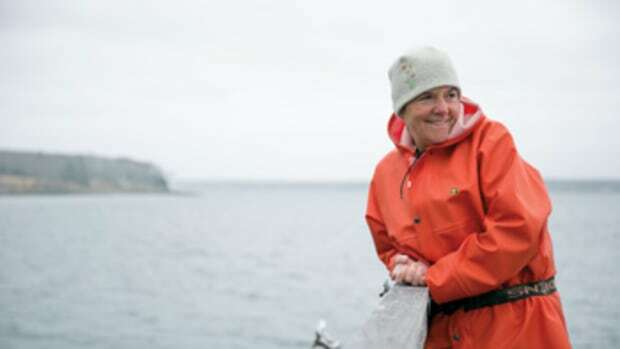 Sure, the water is freezing, and dealing with the lobster pots can drive you crazy, but if we skip a visit one year, it feels like part of the bottom has dropped out of life. Favorite nautical book: Two Years Before the Mast, by Richard Henry Dana Jr. — family loyalty, perhaps, but also a classic for the ages. Favorite nautical cause you support and why: I have been involved with various sailing programs, including aboard tall ships, Woods Hole Oceanographic Institution (whoi.edu), Rose Island Lighthouse (roseislandlighthouse.org) in Narragansett Bay, BREEF in the Bahamas (breef.org), and Sail to Prevail, (sailtoprevail.org) aimed at sailors living with challenges that sailing helps them overcome. Favorite quote about the sea: “You don’t learn to walk by following rules. You learn by doing and by falling over.” — Richard Henry Dana Jr.